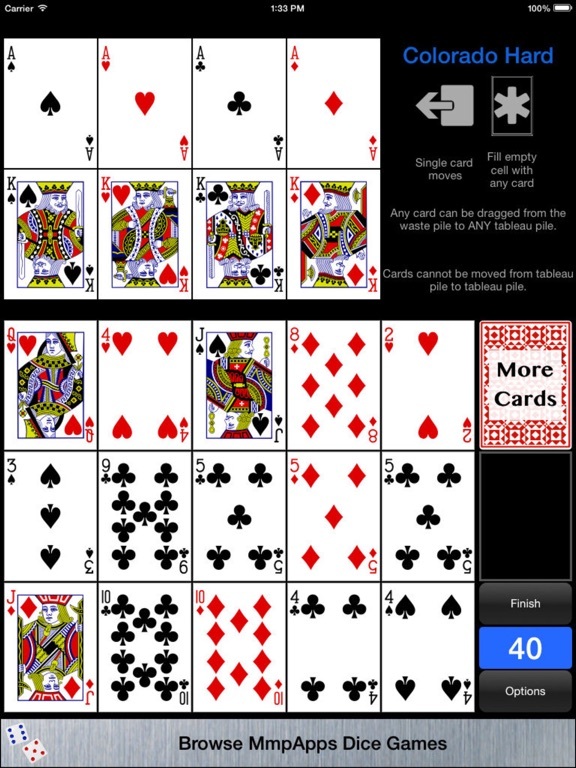 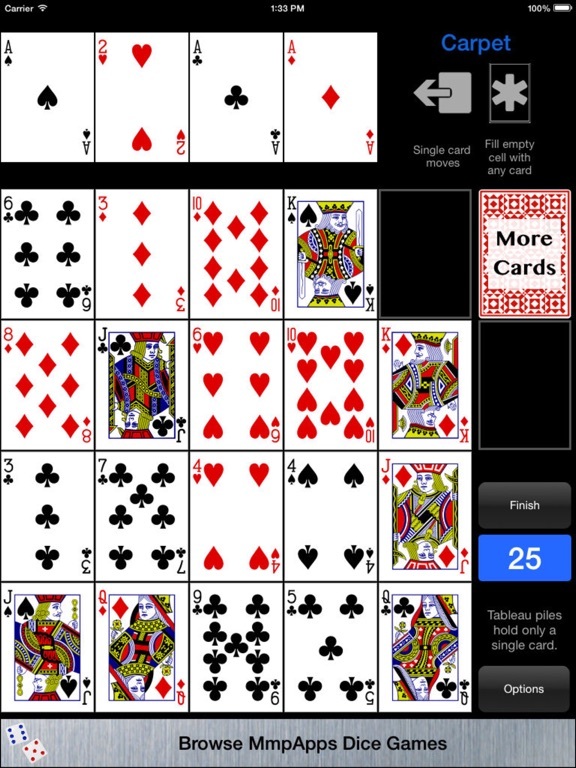 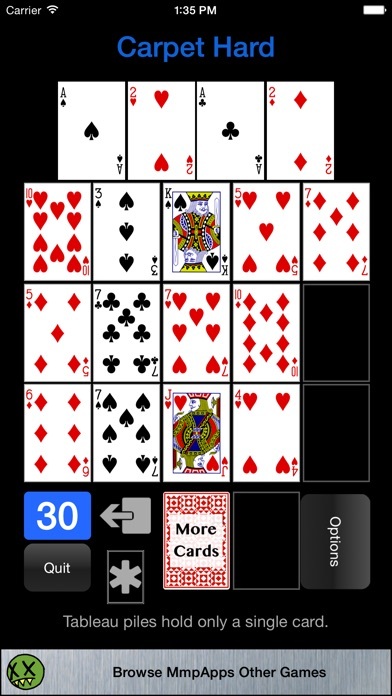 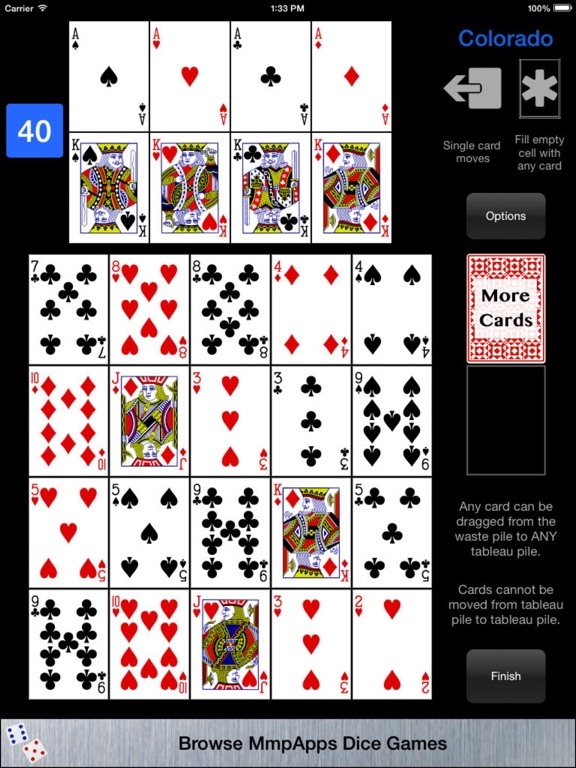 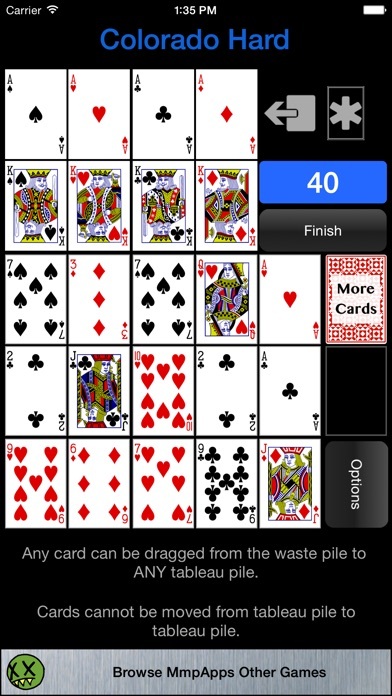 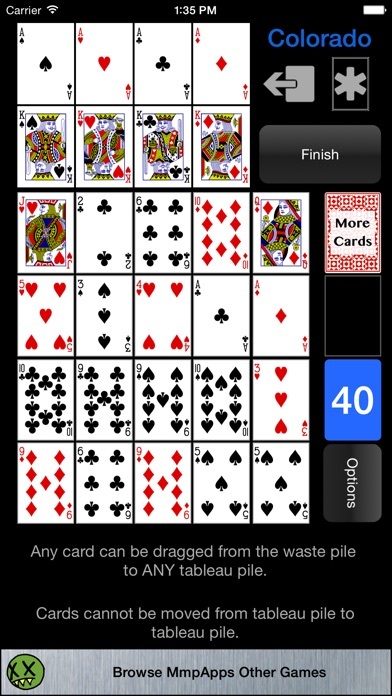 Colorado and Carpet are both classic solitaire games that can be played in normal or hard mode. 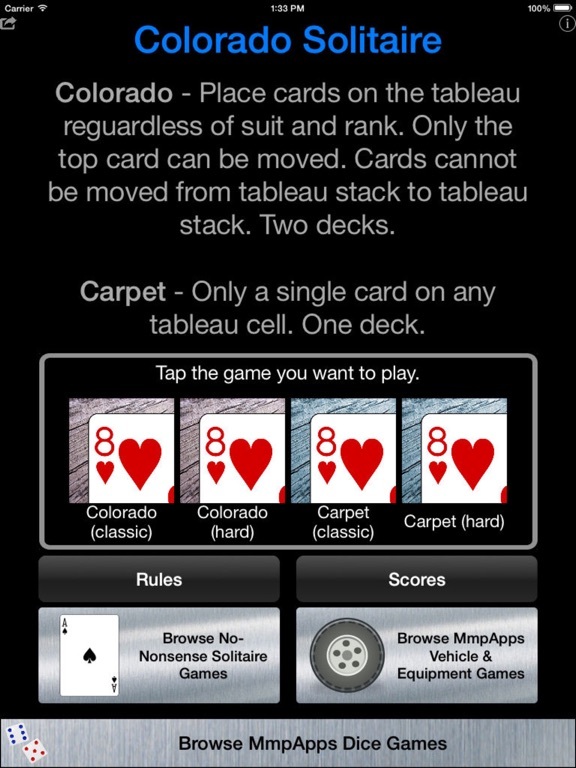 COLORADO: Place cards on the tableau regardless of suit and rank, but cards cannot be shifted once placed, only promoted to the foundation. 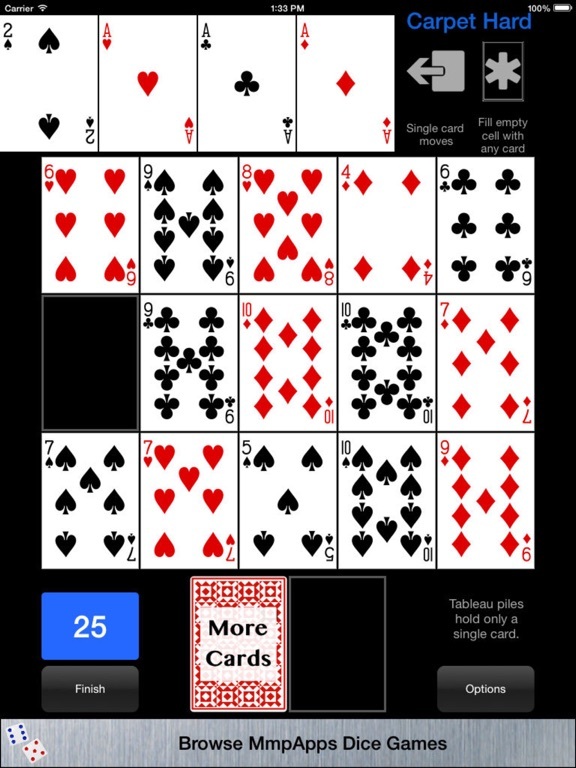 The normal version has 20 tableau stacks whereas the hard version has 15. 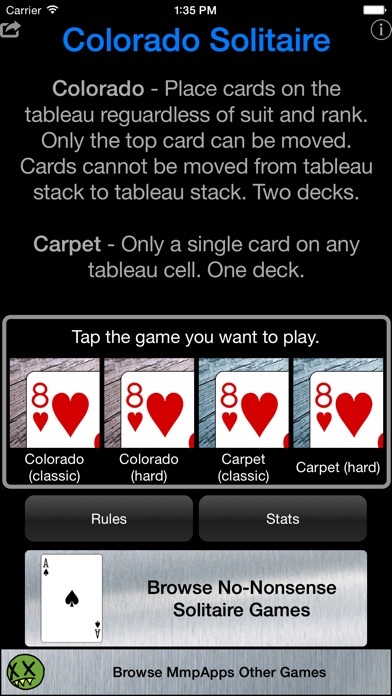 CARPET: Tableau cells can each hold only a single card. 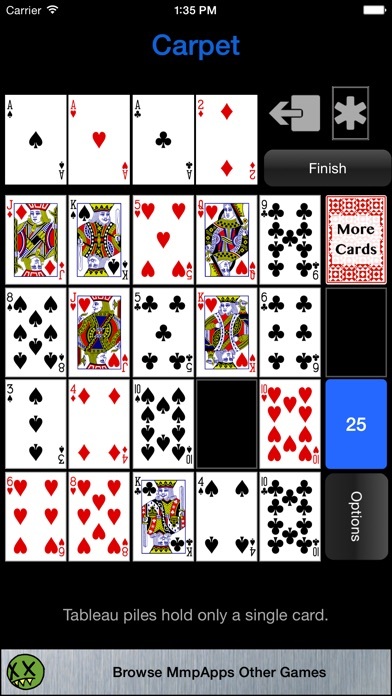 The normal version has 20 tableau cells whereas the hard version has 15.